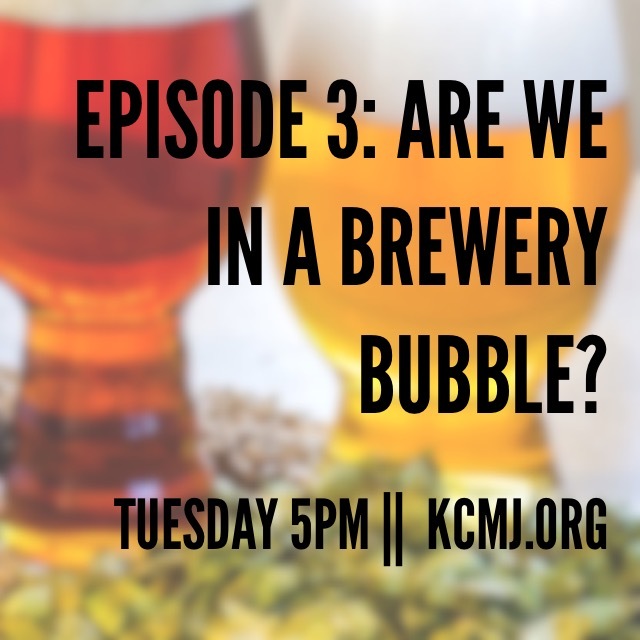 Episode 3: Are we in a Brewery Bubble? The Colorado Springs Brewery scene, and the relative explosion of new breweries in the last year has become a highlight of our city. In a state known for microbreweries, Colorado Springs is becoming a hotbed for people who love craft beer. In 2014 alone, the city experienced the debut of Iron Bird Brewery (August 2014), Fossil Brewing (October 2014) and Storybrook Brewing (December 2014). 2015 has already seen the debut of Gold Camp Brewery (January 2015) and Triple S Brewing (July 2015). They join more established local breweries including Red Leg Brewing, Bristol Brewing, Trinity Brewing and Pikes Peak Brewing. Nationwide, America’s appetite for craft beer is not slowing down. According to the Brewers Association’s latest mid year report American craft beer production volume rose by 16 percent during the first half of 2015. For the first half of this year total US craft beer production is at about 12.2 million barrels of beer, up from 10.6 million during the first half of 2014. Colorado ranks 3rd overall for the number of breweries per capita, behind only California (no. 1) and Washington (2nd). According to the Colorado Brewers Guild, the craft brewery industry in Colorado employs over 5,000 people and is estimated to produce about $826 million in total economic benefit. Currently, there are approximately 235 craft breweries in Colorado. Colorado Springs is host to 19 breweries (8.00% of the State’s total) and counting, meaning our breweries contribute approximately $66 million to our local economy, and play host to approximately 400 jobs. But is our brewery scene a sign of things to come or a bubble about to burst? Much like the internet boom of the 90s, and the real estate explosion of the early 2000s, an economic bubble can spur both innovation and a fierce grab for customers that can result in the dilution of quality. For a city that is beginning to show signs of becoming a home for millennials and a more progressive population, the quality and attractiveness of our breweries can help anchor the community and help spur further growth. However, bad breweries, like bad businesses, can slow down the growth of a neighborhood and of a “brewery scene” and lead to reputation issues for a city competing with places like Boulder and Ft. Collins for young professionals. The economic impact of craft beer for the city of Colorado Springs is very real and is something that should be celebrated and encouraged. However, the city seems to be lacking the “peer critique” aspect that helps make establishments better. Everyone is on the brewery train, but no one wants to speak up and say whether that train is heading in the right direction. Without a more robust beer culture we run the risk of becoming known as a town with a lot of beer, and not a town that is helping lead the beer movement. With the influx of new breweries and new options the question arises whether we have reached a brewery bubble in the city. Has our appetite for beer artificially inflated the beer market? Are we in a brewery bubble? Previous Post So . . . Where are all the Bike Lanes?